Bridesmaid, Groomsmen, Flower Girl and Ring Bearer Wedding Gifts for the wedding party are so important in recognizing your friends and relatives who have stood by you over the years and helped you become all you can be. Your personal recognition will mean so much to them. 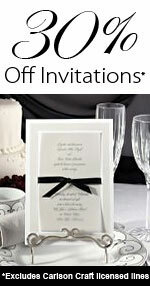 A tasteful and appreciative wedding party gift will show how much you care for each and everyone of them. Our gifts will make a favorable impression on the entire wedding party. Bridal attendants have a lot of important responsibilities and should be recognized for their friendships. Weddings Are Fun provides wedding party gifts and Bridal Attendant Gifts of the highest quality and service that you can trust! Read Responsibilities of Bridal Attendants Article. Read Wedding Memories and Keepsakes Article.